In Case You Forgot Adobe Photoshop at Home, don?? ?t worry! In the case that you forgot Adobe Photoshop at home and need to make some last minute tweaks of some nice and cool graphics for your blog or MySpace page, while at a friends house, who only has MS Paint installed on his Computer, then you don?? ?t have to decide between no image or crappy MS Paint tweaked image anymore. There is now a nice third option available. All that your friend needs is a web browser and an Internet connection??? and who doesn?? ?t have this nowadays. Finding a home with black and white television is probably easier than one with a computer without Internet, right? Anyhow. There have been in the past already multiple attempts to provide a practical photo and image editor on the World Wide Web. Yeah, you could tweak photographs a little bit, remove some red eyes, flip the image, crop it and adjust the colors and contrast or brightness, but that was about it. Pixlr has something for that as well, called Photo Express, where you can do some last minute tweaks to a photo before you put it up on Flickr or Photobucket. But if you had to do a little bit more tweaking to an image, you still required a desktop application installed on your computer. Pixlr provides a neat alternative to that. 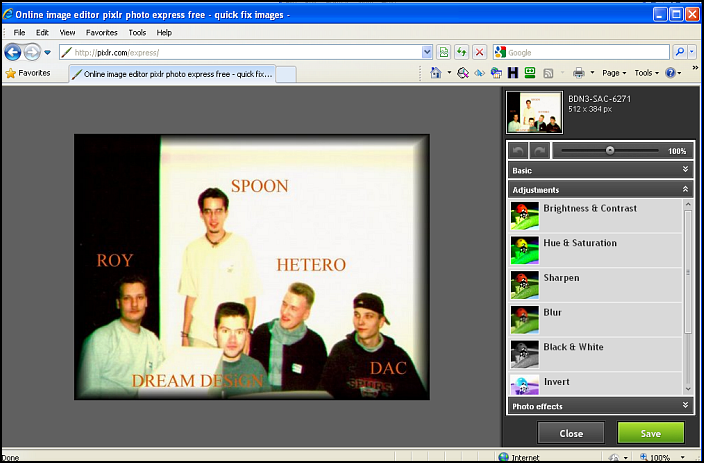 Their image editor is more than just a nice toy where you can draw squares and lines like in MS Paint. The Pixlr image editor supports Layers and has some features like its big cousins, the Adobe Photoshop?? ?s and alike. The interface also matches closely the look and feel of Photoshop, which will make designers who live and die with PS, feel like home instantly. I actually felt so much at home that I got stuck when I tried to use the right click context menu or keyboard short-cuts that I am used to. The editor is Flash based and not Ajax like Google Docs and thus not supports the right mouse button (I wonder how this works on a Macintosh ). 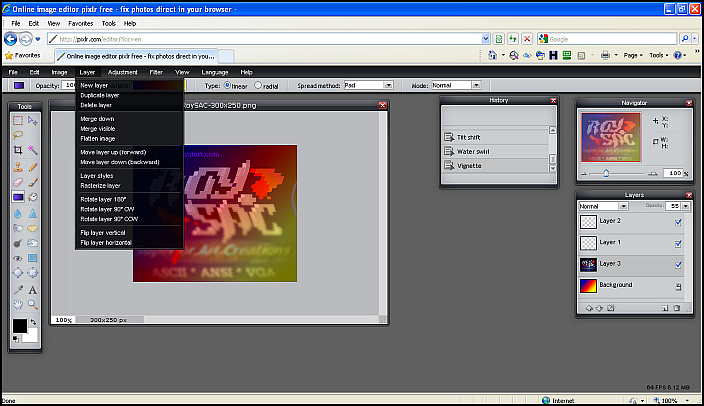 The first thing you do when you go to the editor on the web is to select if you want to start a new image, load a picture from your computer or directly from a web site (e.g. Flickr). Supported are the standard formats JPEG, PNG and GIF. I can only suggest to jump right into it and play around with all the features available yourself. That?? ?s what I did and it worked out pretty well. If you don?? ?t think that it feels right or could work for you, you just leave and never come back. That?? ?s the beauty of a web based (and free) application. There is nothing to uninstall or something like that, because you never installed anything to begin with. Here is a screen shot of my experiments with the editor. Here is a screen shot of the light weight Photo Express application for last minute photo tweaks. Notice the photograph? It?? ?s the only photograph with that many SAC members in it. It was taken at the BDN Party 3 in Berlin, Germany (where I won the ?? ?Fast ANSI??? graphics compo and a T-Shirt as a prize hehe). A quick note for web masters and web developers. 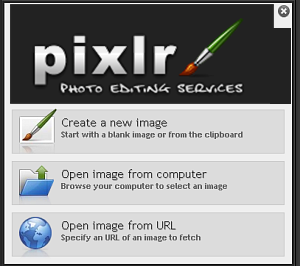 Pixlr provides a web API that you can easily integrate the image editor into your own web application. The API has some nice features that let you control, if the user can save the image on his computer or not, if he can change the title, or if you specify it for the user, the source (e.g. an image template that you automatically load or just the image that the user uploaded on your web site and wants to make some tweaks to it, without doing it on his own computer and re-upload the modified image again. The possible implementations are probably somewhat limited, but in those few cases where it makes sense, having the option to provide a pretty good editor versus none or just a crappy one comes in very handy. So go and check it out. It?? ?s free, no trial, no premium versus basic free features or stuff like that (at least I didn?? ?t see anything like that, when I checked out their web site and products).